When children spend their time playing video games, parents would usually worry about the prospect of the child, however, when the child becomes the world’s richest YouTuber by the virtue of his gaming prowess, all worries are laid to rest and that was the case with DanTDM. Undoubtedly, there is a new crop of YouTubers known by their genre and contents, with a distinct touch of perfection and originality to say the least. However, when gaming channels are mentioned, only a few stand out as exceptional. Among the few phenomenal channels ascribed to online gaming is the one helmed by the British star YouTuber, professional gamer, and author, Dan The Diamond Minecart popularly known as DanTDM. DanTDM is known for his daily mod review uploads and Let’s Play videos about Minecart. Also, he makes mini-movies that involve original characters from the game. With over 20 million subscribers and an average of nearly 400 million views per month coupled with several awards and even an entry into the Guinness World Records, he sits comfortably on the list of the most popular YouTubers, and his channel, among the most-watched gaming channels on the video-sharing website. From how he went from Pokemon gamer to Minecraft celebrity, here are beyond the scene facts to know about Dan The Diamond Minecart. DanTDM was born Daniel Robert Middleton in Aldershot, England on the 8th day of November 1991. He is the elder of two children born to his parents who parted ways when he was a child. He spent a huge part of his childhood playing games which certainly prepped him for a big future he did not anticipate. While at the Universiy of Northampton, he first delved into the world of sharing videos on YouTube. He started his empire with his first channel, PokemanDanLv45 in 2010 dedicated to the Pokémon franchise. Two years later, he moved on to another channel, this time a kids-oriented gaming channel targeted mostly at children aged 5-12, named TheDiamondMinecart. He later changed the name to TheDiamondMinecart // DanTDM and then to DanTDM in December 2016. He produces his videos in his home studio in Wellingborough. 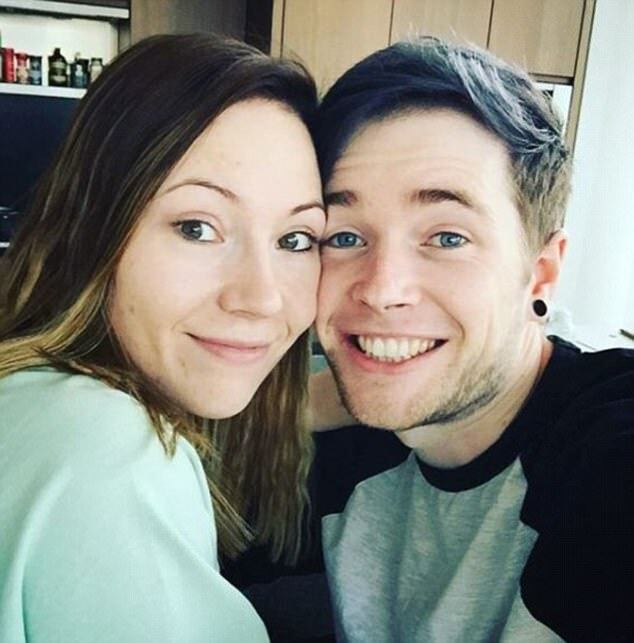 With a combination of hard work, creativity, and talent, DanTDM has grown his fan base to over 20 million subscribers. His primary focus is on the game Minecraft though he has branched into other video games since 2016 such as Roblox and Tomodachi Life. Middleton is about everything gaming and features regularly on platforms that promote it either to comment on video games or to discuss life as a YouTuber. He attends the Insomnia Gaming Festivals regularly and has also been featured on a couple of gaming shows; twice on CBBC’s Technobabble and once on ITV’s Lorraine. In recognition of his immense contribution to professional kids gaming and the gaming world as a whole, he has received several awards including two Kid’s Choice Awards in 2015 and 2016. Additionally, Daniel also holds two world records including one in Rocket League for most goals scored and for Most views for a dedicated Minecraft video channel. 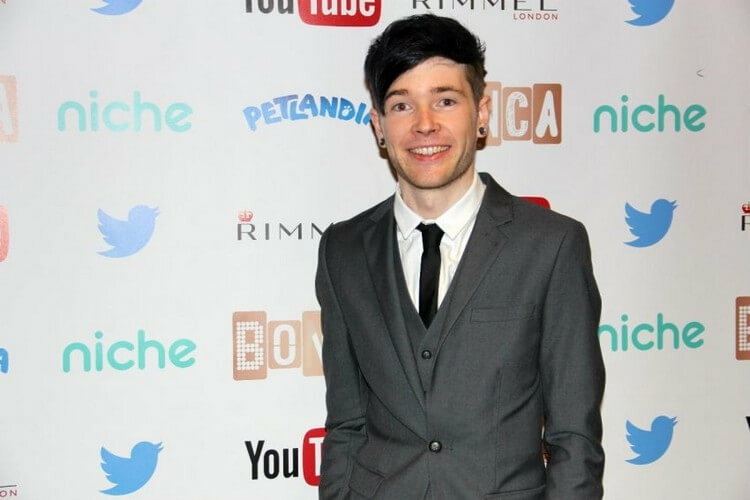 Beside his on-screen activities, DanTDM has also authored a book. His graphic novel titled Trayaurus and the Enchanted Crystal was released on October 6, 2016. The novel topped The New York Times Best Seller list for hardcover graphics books in Japan for 11 weeks. In addition to his gaming channel, he has another channel, MoreTDM created in 2014 where he vlogs about his daily non-Minecraft life, although it is currently inactive. When Middleton was in high school, he met and started dating a beautiful girl named Jemma. A few years later, he proposed to her and on March 17, 2013, the duo tied the nuptial knot. Jemma also plays video games and has her own channel known as JemPlaysMC. As earlier mentioned, Dan has a younger brother who equally loves video games and played a lot while growing up. Interestingly, it was his brother who introduced Dan to Minecraft. He has not featured the brother in any of his videos although other YouTubers sometimes pretend to be his brother, even he himself. DanTDM is arguably, one of the richest YouTubers in the world. He topped Forbes list of Highest-Paid YouTube Stars with an annual earning of $16.5 million (about GB£12.2 million) in 2017. Middleton has over 13 billion views and 20 million subscribers as of August 2018, making his the 38th most-subscribed-to YouTube channel. With more work and dedication to his art, he could top the list in the future. In September 2015, Dan uploaded a video where he announced that he tripped in the kitchen and broke his hand. Despite the cast put on the hand, he managed to play games and edit videos with one hand for the one month he wore the cast. He created a web series called DanTDM Creates a Big Scene in 2017. The series which premiered on April 7 exclusively for YouTube’s subscription service, YouTube Red follows Dan and his group of animated friends. The show didn’t however, last long as it ran for only 6 episodes. He is notable for his affinity to color, especially experimenting with them on his hair. He has naturally brown hair but has dyed it many times with colors such as blonde, purple, turquoise, pink, blue, and cerulean. Apart from his love for colors, he also loves tattoos and has a number of them on his body. His body arts include an Enderman holding a red Play Button in his hand, a Ghast and a Wither Skeleton alongside the first, space, skeleton, a flower of life tattoos among others.